Keyless Start, Dual Zone A/C, Smart Device Integration, Back-Up Camera, Aluminum Wheels, OPTION GROUP 01, Hybrid, iPod/MP3 Input, Bluetooth. EPA 59 MPG Hwy/57 MPG City! SCARLET RED PEARL exterior and BLACK interior, Blue trim CLICK NOW! KEY FEATURES INCLUDE Back-Up Camera, Hybrid, Satellite Radio, iPod/MP3 Input, Bluetooth, Aluminum Wheels, Keyless Start, Dual Zone A/C, Smart Device Integration. Rear Spoiler, MP3 Player, Keyless Entry, Child Safety Locks, Steering Wheel Controls. OPTION PACKAGES OPTION GROUP 01 standard equipment. Hyundai Blue with SCARLET RED PEARL exterior and BLACK interior features a 4 Cylinder Engine with 139 HP at 5700 RPM*. EXPERTS ARE SAYING Great Gas Mileage: 59 MPG Hwy. BUY FROM AN AWARD WINNING DEALER Lithia Hyundai of Reno sells new Hyundai's, certified pre-owned Hyundai's, and used cars, trucks, and SUV's! 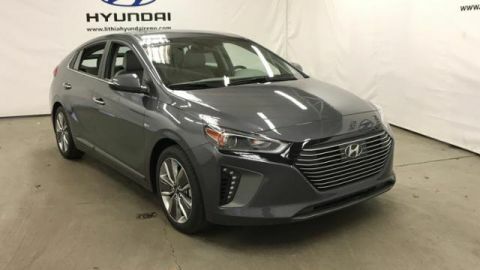 We have excellent finance options as low as 0% on select models, in addition to all avilable Hyundai incentives and rebates! We also specialize in second chance financing! We are located in Northern Nevada at 2620 Kietzke Ln. Reno, NV 89502. 775-682-3300. Our hours are Monday-Saturday 8: 30am - 8pm and Sundays 10am - 6pm. 100% customer satifaction is our priority! Please call us today! Price does not include $449 Dealer doc fee, taxes, and license fees. Price contains all applicable dealer incentives and non-limited factory rebates. You may qualify for additional rebates; see dealer for details. SYMPHONY AIR SILVER exterior and BLACK interior, Blue trim. EPA 59 MPG Hwy/57 MPG City! Keyless Start, Dual Zone A/C, Smart Device Integration, Back-Up Camera, Aluminum Wheels, OPTION GROUP 01, Hybrid, iPod/MP3 Input CLICK NOW! KEY FEATURES INCLUDE Back-Up Camera, Hybrid, Satellite Radio, iPod/MP3 Input, Bluetooth, Aluminum Wheels, Keyless Start, Dual Zone A/C, Smart Device Integration Rear Spoiler, MP3 Player, Keyless Entry, Child Safety Locks, Steering Wheel Controls. OPTION PACKAGES OPTION GROUP 01 standard equipment. Hyundai Blue with SYMPHONY AIR SILVER exterior and BLACK interior features a 4 Cylinder Engine with 139 HP at 5700 RPM*. EXPERTS REPORT Great Gas Mileage: 59 MPG Hwy. 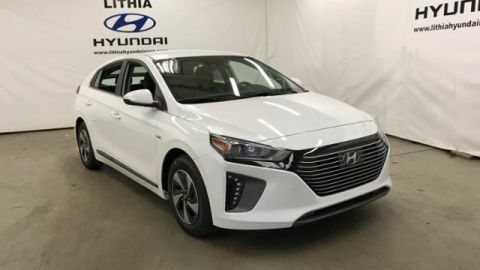 WHO WE ARE Lithia Hyundai of Reno sells new Hyundai's, certified pre-owned Hyundai's, and used cars, trucks, and SUV's! We have excellent finance options as low as 0% on select models, in addition to all avilable Hyundai incentives and rebates! We also specialize in second chance financing! We are located in Northern Nevada at 2620 Kietzke Ln. Reno, NV 89502. 775-682-3300. Our hours are Monday-Saturday 8: 30am - 8pm and Sundays 10am - 6pm. 100% customer satifaction is our priority! Please call us today! Price does not include $449 Dealer doc fee, taxes, and license fees. Price contains all applicable dealer incentives and non-limited factory rebates. You may qualify for additional rebates; see dealer for details. Heated Seats, Smart Device Integration, Lane Keeping Assist, Cross-Traffic Alert, Blind Spot Monitor, Back-Up Camera, Hybrid. SYMPHONY AIR SILVER exterior and BEIGE interior, SEL trim. FUEL EFFICIENT 54 MPG Hwy/55 MPG City! CLICK NOW! KEY FEATURES INCLUDE Heated Driver Seat, Back-Up Camera, Hybrid, Satellite Radio, iPod/MP3 Input, Bluetooth, Aluminum Wheels, Keyless Start, Dual Zone A/C, Lane Keeping Assist, Smart Device Integration, Blind Spot Monitor, Cross-Traffic Alert, Heated Seats Rear Spoiler, MP3 Player, Keyless Entry, Steering Wheel Controls, Child Safety Locks. OPTION PACKAGES OPTION GROUP 01 standard equipment. Hyundai SEL with SYMPHONY AIR SILVER exterior and BEIGE interior features a 4 Cylinder Engine with 139 HP at 5700 RPM*. EXPERTS ARE SAYING Great Gas Mileage: 55 MPG City. 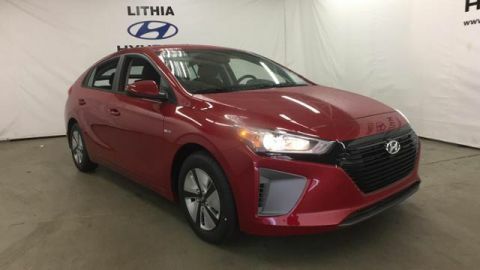 MORE ABOUT US Lithia Hyundai of Reno sells new Hyundai's, certified pre-owned Hyundai's, and used cars, trucks, and SUV's! We have excellent finance options as low as 0% on select models, in addition to all avilable Hyundai incentives and rebates! We also specialize in second chance financing! We are located in Northern Nevada at 2620 Kietzke Ln. Reno, NV 89502. 775-682-3300. Our hours are Monday-Saturday 8: 30am - 8pm and Sundays 10am - 6pm. 100% customer satifaction is our priority! Please call us today! Price does not include $449 Dealer doc fee, taxes, and license fees. Price contains all applicable dealer incentives and non-limited factory rebates. You may qualify for additional rebates; see dealer for details. Heated Seats, Smart Device Integration, Lane Keeping Assist, Cross-Traffic Alert, Blind Spot Monitor, Back-Up Camera, Hybrid, Alloy Wheels. FUEL EFFICIENT 54 MPG Hwy/55 MPG City! SEL trim, SUMMIT GRAY exterior and BLACK interior AND MORE! 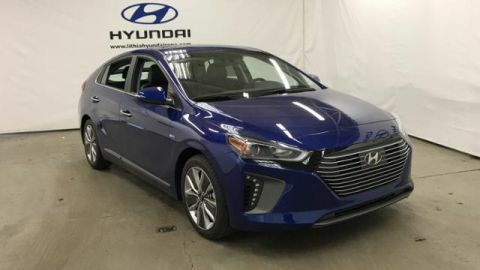 KEY FEATURES INCLUDE Heated Driver Seat, Back-Up Camera, Hybrid, Satellite Radio, iPod/MP3 Input, Bluetooth, Aluminum Wheels, Keyless Start, Dual Zone A/C, Lane Keeping Assist, Smart Device Integration, Blind Spot Monitor, Cross-Traffic Alert, Heated Seats. Rear Spoiler, MP3 Player, Keyless Entry, Steering Wheel Controls, Child Safety Locks. OPTION PACKAGES OPTION GROUP 01 standard equipment. Hyundai SEL with SUMMIT GRAY exterior and BLACK interior features a 4 Cylinder Engine with 139 HP at 5700 RPM*. VEHICLE REVIEWS Great Gas Mileage: 55 MPG City. WHY BUY FROM US Lithia Hyundai of Reno sells new Hyundai's, certified pre-owned Hyundai's, and used cars, trucks, and SUV's! 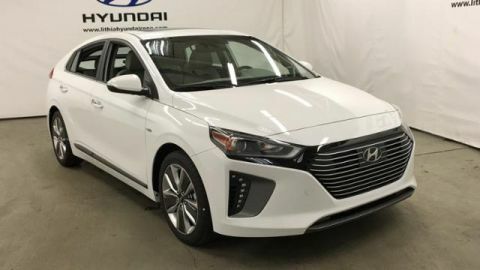 We have excellent finance options as low as 0% on select models, in addition to all avilable Hyundai incentives and rebates! We also specialize in second chance financing! We are located in Northern Nevada at 2620 Kietzke Ln. Reno, NV 89502. 775-682-3300. Our hours are Monday-Saturday 8: 30am - 8pm and Sundays 10am - 6pm. 100% customer satifaction is our priority! Please call us today! Price does not include $449 Dealer doc fee, taxes, and license fees. Price contains all applicable dealer incentives and non-limited factory rebates. You may qualify for additional rebates; see dealer for details. Heated Seats, Smart Device Integration, Lane Keeping Assist, Cross-Traffic Alert, Blind Spot Monitor, Back-Up Camera, Hybrid. FUEL EFFICIENT 54 MPG Hwy/55 MPG City! SEL trim, BLACK NOIR PEARL exterior and BLACK interior CLICK ME! 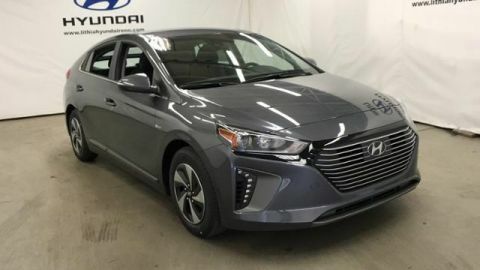 KEY FEATURES INCLUDE Heated Driver Seat, Back-Up Camera, Hybrid, Satellite Radio, iPod/MP3 Input, Bluetooth, Aluminum Wheels, Keyless Start, Dual Zone A/C, Lane Keeping Assist, Smart Device Integration, Blind Spot Monitor, Cross-Traffic Alert, Heated Seats. Rear Spoiler, MP3 Player, Keyless Entry, Steering Wheel Controls, Child Safety Locks. OPTION PACKAGES OPTION GROUP 01 standard equipment. Hyundai SEL with BLACK NOIR PEARL exterior and BLACK interior features a 4 Cylinder Engine with 139 HP at 5700 RPM*. EXPERTS REPORT Great Gas Mileage: 55 MPG City. BUY FROM AN AWARD WINNING DEALER Lithia Hyundai of Reno sells new Hyundai's, certified pre-owned Hyundai's, and used cars, trucks, and SUV's! 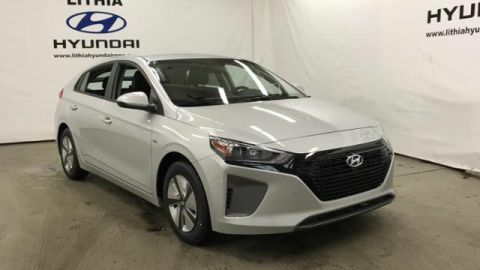 We have excellent finance options as low as 0% on select models, in addition to all avilable Hyundai incentives and rebates! We also specialize in second chance financing! We are located in Northern Nevada at 2620 Kietzke Ln. Reno, NV 89502. 775-682-3300. Our hours are Monday-Saturday 8: 30am - 8pm and Sundays 10am - 6pm. 100% customer satifaction is our priority! Please call us today! Price does not include $449 Dealer doc fee, taxes, and license fees. Price contains all applicable dealer incentives and non-limited factory rebates. You may qualify for additional rebates; see dealer for details. Heated Seats, Smart Device Integration, Lane Keeping Assist, Cross-Traffic Alert, Blind Spot Monitor, Back-Up Camera, Hybrid, OPTION GROUP 01. SEL trim, CERAMIC WHITE exterior and BLACK interior. EPA 54 MPG Hwy/55 MPG City! AND MORE! 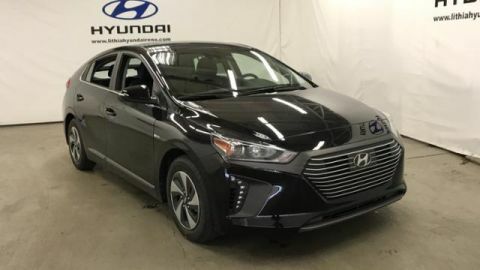 KEY FEATURES INCLUDE Heated Driver Seat, Back-Up Camera, Hybrid, Satellite Radio, iPod/MP3 Input, Bluetooth, Aluminum Wheels, Keyless Start, Dual Zone A/C, Lane Keeping Assist, Smart Device Integration, Blind Spot Monitor, Cross-Traffic Alert, Heated Seats. Rear Spoiler, MP3 Player, Keyless Entry, Steering Wheel Controls, Child Safety Locks. OPTION PACKAGES OPTION GROUP 01 standard equipment. Hyundai SEL with CERAMIC WHITE exterior and BLACK interior features a 4 Cylinder Engine with 139 HP at 5700 RPM*. EXPERTS CONCLUDE Great Gas Mileage: 55 MPG City. OUR OFFERINGS Lithia Hyundai of Reno sells new Hyundai's, certified pre-owned Hyundai's, and used cars, trucks, and SUV's! 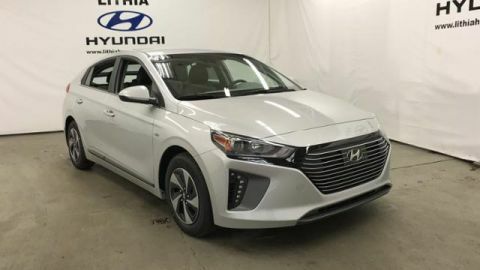 We have excellent finance options as low as 0% on select models, in addition to all avilable Hyundai incentives and rebates! We also specialize in second chance financing! We are located in Northern Nevada at 2620 Kietzke Ln. Reno, NV 89502. 775-682-3300. Our hours are Monday-Saturday 8: 30am - 8pm and Sundays 10am - 6pm. 100% customer satifaction is our priority! Please call us today! Price does not include $449 Dealer doc fee, taxes, and license fees. Price contains all applicable dealer incentives and non-limited factory rebates. You may qualify for additional rebates; see dealer for details. Sunroof, Heated Leather Seats, Remote Engine Start, Dual Zone A/C, Back-Up Camera, Alloy Wheels, OPTION GROUP 01, Hybrid. Limited trim, CERAMIC WHITE exterior and BLACK interior. FUEL EFFICIENT 54 MPG Hwy/55 MPG City! CLICK ME! KEY FEATURES INCLUDE Leather Seats, Sunroof, Heated Driver Seat, Back-Up Camera, Hybrid, Satellite Radio, iPod/MP3 Input, Onboard Communications System, Aluminum Wheels, Remote Engine Start, Dual Zone A/C, Smart Device Integration, Lane Keeping Assist, Cross-Traffic Alert, Blind Spot Monitor Rear Spoiler, MP3 Player, Keyless Entry, Steering Wheel Controls, Child Safety Locks. OPTION PACKAGES OPTION GROUP 01 standard equipment. Hyundai Limited with CERAMIC WHITE exterior and BLACK interior features a 4 Cylinder Engine with 139 HP at 5700 RPM*. EXPERTS ARE SAYING Great Gas Mileage: 55 MPG City. BUY FROM AN AWARD WINNING DEALER Lithia Hyundai of Reno sells new Hyundai's, certified pre-owned Hyundai's, and used cars, trucks, and SUV's! We have excellent finance options as low as 0% on select models, in addition to all avilable Hyundai incentives and rebates! We also specialize in second chance financing! We are located in Northern Nevada at 2620 Kietzke Ln. Reno, NV 89502. 775-682-3300. Our hours are Monday-Saturday 8: 30am - 8pm and Sundays 10am - 6pm. 100% customer satifaction is our priority! Please call us today! Price does not include $449 Dealer doc fee, taxes, and license fees. Price contains all applicable dealer incentives and non-limited factory rebates. You may qualify for additional rebates; see dealer for details. Moonroof, Heated Leather Seats, Remote Engine Start, Dual Zone A/C, Back-Up Camera, Aluminum Wheels, OPTION GROUP 01, Hybrid, iPod/MP3 Input. CERAMIC WHITE exterior and BEIGE interior, Limited trim. EPA 54 MPG Hwy/55 MPG City! READ MORE! KEY FEATURES INCLUDE Leather Seats, Sunroof, Heated Driver Seat, Back-Up Camera, Hybrid, Satellite Radio, iPod/MP3 Input, Onboard Communications System, Aluminum Wheels, Remote Engine Start, Dual Zone A/C, Smart Device Integration, Lane Keeping Assist, Cross-Traffic Alert, Blind Spot Monitor. Rear Spoiler, MP3 Player, Keyless Entry, Steering Wheel Controls, Child Safety Locks. OPTION PACKAGES OPTION GROUP 01 standard equipment. Hyundai Limited with CERAMIC WHITE exterior and BEIGE interior features a 4 Cylinder Engine with 139 HP at 5700 RPM*. VEHICLE REVIEWS Great Gas Mileage: 55 MPG City. 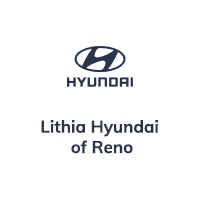 WHO WE ARE Lithia Hyundai of Reno sells new Hyundai's, certified pre-owned Hyundai's, and used cars, trucks, and SUV's! We have excellent finance options as low as 0% on select models, in addition to all avilable Hyundai incentives and rebates! We also specialize in second chance financing! We are located in Northern Nevada at 2620 Kietzke Ln. Reno, NV 89502. 775-682-3300. Our hours are Monday-Saturday 8: 30am - 8pm and Sundays 10am - 6pm. 100% customer satifaction is our priority! Please call us today! Price does not include $449 Dealer doc fee, taxes, and license fees. Price contains all applicable dealer incentives and non-limited factory rebates. You may qualify for additional rebates; see dealer for details. Heated Leather Seats, Sunroof, Remote Engine Start, Dual Zone A/C, Back-Up Camera, Alloy Wheels, OPTION GROUP 01, Hybrid, iPod/MP3 Input. INTENSE BLUE exterior and BLACK interior, Limited trim. EPA 54 MPG Hwy/55 MPG City! CLICK NOW! KEY FEATURES INCLUDE Leather Seats, Sunroof, Heated Driver Seat, Back-Up Camera, Hybrid, Satellite Radio, iPod/MP3 Input, Onboard Communications System, Aluminum Wheels, Remote Engine Start, Dual Zone A/C, Smart Device Integration, Lane Keeping Assist, Cross-Traffic Alert, Blind Spot Monitor Rear Spoiler, MP3 Player, Keyless Entry, Steering Wheel Controls, Child Safety Locks. OPTION PACKAGES OPTION GROUP 01 standard equipment. Hyundai Limited with INTENSE BLUE exterior and BLACK interior features a 4 Cylinder Engine with 139 HP at 5700 RPM*. EXPERTS ARE SAYING Great Gas Mileage: 55 MPG City. 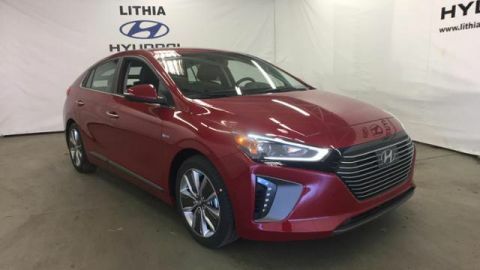 MORE ABOUT US Lithia Hyundai of Reno sells new Hyundai's, certified pre-owned Hyundai's, and used cars, trucks, and SUV's! We have excellent finance options as low as 0% on select models, in addition to all avilable Hyundai incentives and rebates! We also specialize in second chance financing! We are located in Northern Nevada at 2620 Kietzke Ln. Reno, NV 89502. 775-682-3300. Our hours are Monday-Saturday 8: 30am - 8pm and Sundays 10am - 6pm. 100% customer satifaction is our priority! Please call us today! Price does not include $449 Dealer doc fee, taxes, and license fees. Price contains all applicable dealer incentives and non-limited factory rebates. You may qualify for additional rebates; see dealer for details. NAV, Heated Leather Seats, Sunroof, Dual Zone A/C, Back-Up Camera, ULTIMATE PACKAGE 02, Alloy Wheels, Remote Engine Start, Hybrid. Limited trim, SUMMIT GRAY exterior and BEIGE interior. EPA 54 MPG Hwy/55 MPG City! SEE MORE! KEY FEATURES INCLUDE Leather Seats, Sunroof, Heated Driver Seat, Back-Up Camera, Hybrid, Onboard Communications System, Aluminum Wheels, Remote Engine Start, Dual Zone A/C, Cross-Traffic Alert, Blind Spot Monitor, Smart Device Integration, Lane Keeping Assist, Heated Seats, Heated Leather Seats Rear Spoiler, Keyless Entry, Child Safety Locks, Steering Wheel Controls, Heated Mirrors. OPTION PACKAGES ULTIMATE PACKAGE 02 Option Group 02, Rear Parking Sensors, Driver's Seat Integrated Memory System (IMS), Cargo Cover, Dynamic Bending Light Function, Console-Mounted 2nd Row Vents, Radio: AM/FM/MP3 w/Navigation System, 8 color touchscreen display and 8 speaker Infinity premium audio w/Clari-fi music restoration technology, Wireless Device Charging Pad. Hyundai Limited with SUMMIT GRAY exterior and BEIGE interior features a 4 Cylinder Engine with 139 HP at 5700 RPM*. EXPERTS RAVE Great Gas Mileage: 55 MPG City. 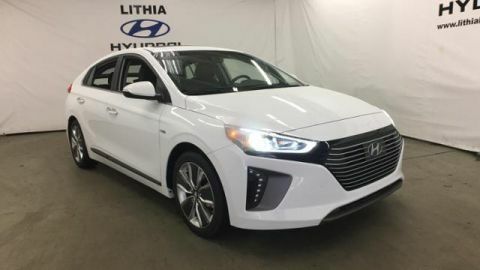 MORE ABOUT US Lithia Hyundai of Reno sells new Hyundai's, certified pre-owned Hyundai's, and used cars, trucks, and SUV's! We have excellent finance options as low as 0% on select models, in addition to all avilable Hyundai incentives and rebates! We also specialize in second chance financing! We are located in Northern Nevada at 2620 Kietzke Ln. Reno, NV 89502. 775-682-3300. Our hours are Monday-Saturday 8: 30am - 8pm and Sundays 10am - 6pm. 100% customer satifaction is our priority! Please call us today! Price does not include $449 Dealer doc fee, taxes, and license fees. Price contains all applicable dealer incentives and non-limited factory rebates. You may qualify for additional rebates; see dealer for details. Heated Leather Seats, Nav System, Moonroof, Dual Zone A/C, Back-Up Camera, ULTIMATE PACKAGE 02, Aluminum Wheels, Hybrid. FUEL EFFICIENT 54 MPG Hwy/55 MPG City! Limited trim, SCARLET RED PEARL exterior and BLACK interior AND MORE! KEY FEATURES INCLUDE Leather Seats, Sunroof, Heated Driver Seat, Back-Up Camera, Hybrid, Onboard Communications System, Aluminum Wheels, Remote Engine Start, Dual Zone A/C, Cross-Traffic Alert, Blind Spot Monitor, Smart Device Integration, Lane Keeping Assist, Heated Seats, Heated Leather Seats Rear Spoiler, Keyless Entry, Child Safety Locks, Steering Wheel Controls, Heated Mirrors. OPTION PACKAGES ULTIMATE PACKAGE 02 Option Group 02, Rear Parking Sensors, Driver's Seat Integrated Memory System (IMS), Cargo Cover, Dynamic Bending Light Function, Console-Mounted 2nd Row Vents, Radio: AM/FM/MP3 w/Navigation System, 8 color touchscreen display and 8 speaker Infinity premium audio w/Clari-fi music restoration technology, Wireless Device Charging Pad. Hyundai Limited with SCARLET RED PEARL exterior and BLACK interior features a 4 Cylinder Engine with 139 HP at 5700 RPM*. EXPERTS ARE SAYING Great Gas Mileage: 55 MPG City. WHY BUY FROM US Lithia Hyundai of Reno sells new Hyundai's, certified pre-owned Hyundai's, and used cars, trucks, and SUV's! We have excellent finance options as low as 0% on select models, in addition to all avilable Hyundai incentives and rebates! We also specialize in second chance financing! We are located in Northern Nevada at 2620 Kietzke Ln. Reno, NV 89502. 775-682-3300. Our hours are Monday-Saturday 8: 30am - 8pm and Sundays 10am - 6pm. 100% customer satifaction is our priority! Please call us today! Price does not include $449 Dealer doc fee, taxes, and license fees. Price contains all applicable dealer incentives and non-limited factory rebates. You may qualify for additional rebates; see dealer for details. New vehicle pricing includes all offers and incentives. Tax, Title and Tags not included in vehicle prices shown and must be paid by the purchaser. While great effort is made to ensure the accuracy of the information on this site, errors do occur so please verify information with a customer service rep. This is easily done by calling us at (833) 213-6597 or by visiting us at the dealership.